Well the weather in Barcelona for the annual Mobile World Congress (MWC) may have been a little disappointing but the mobile phone weather barometer inside was anything but, and yes I do have an app on my phone that does this. Our lead story this month surrounds the happenings at Nokia and the announcement of their tie up with Microsoft. A problem for Nokia perhaps but an incredibly positive picture from the industry as a whole. Smart phones and mobile apps were the order of the day along with tablet objects to compete with Apple's iPad. Apple was nowhere in sight but I guess they argue they don't need a stand and whoever has heard of Barcelona in sunny Cupertino California, site of the Apple headquarters. However they still won the best mobile device award for the Apple iPhone 4. I'll bet you're desperate to ask so I'll let you in, the best mobile app award overall on all platforms went to Angry Birds (and yes I've got that on my phone as well). There were queues everywhere, my activity barometer is based on the length of the queues for the toilets and oh they were long. So although the organizers provide the facts and figures on their web site I can tell you it was a busy year. The last few trips to Cartes in Paris have been disappointing, I think the atmosphere has been dull. People are not really interested in smart cards as such it's much more the application business and people struggle to fill in the bits. I almost hesitate to say it but I think people may have forgotten what the smart cards are for, perhaps I'll ask that question in Paris later this year. anned by people who were anything but bored, it's an exciting world and the smart phone opens up avenues for all parts of the industry. There were lots of things going on but I know you would want me to keep you informed on NFC. Well I think we have passed some tipping point, NFC in the phone was pretty well a given. Everybody agrees that lots of smart phones will have NFC over the next few years but that mass applications have still got some way to go. The huge signs all over the place for the Samsung Galaxy S II just kept reminding you that NFC was now in the forefront. But here was the interesting point, even though perhaps 50 million or more NFC phones will appear on the market this year (yes I believe it, the chips are being made) nobody for one minute tried to suggest that we will all be paying with our phone at the end of the year. In fact I actually obtained an unbelievable consensus from those most closely involved in the industry. Location and social network services, that's where it is all going to happen. The location bit is referring to the idea of having RFID tags dotted around all over the place so that you can tap your phone on them to get more information on a particular historical site, some advertised event or just plain goods for sale on some advertising hoarding. The social networking angle is even more interesting, the location bit is old hat really and I'm sure it will happen but bumping into somebody or I guess more politely bumping our phones together to exchange contact information (or anything else I guess) now that sounds interesting. Do you remember the early days of mobile phones, there was the advert of the boy meets girl, she was in one train he in the other and their eyes met. Well you can guess what happens, they both get out their phones and point them at each other to line up their infra-red link. Of course the train moved at the wrong moment so the link was lost before the vital information was passed from phone to phone. Actually I'm not sure if NFC would solve this problem but I'm sure there are many more. 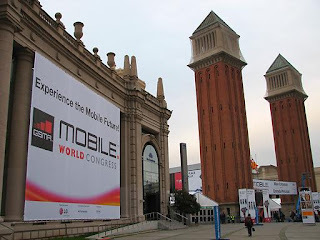 Anyway the consensus from the conference was this year will produce between 50 and 100 million NFC phones. It is also pointed out that the only standard agreed is for the Single Wire Protocol (SWP) which is the connection from the NFC chip to the SIM which then acts as the secure element. But it was also agreed that we are still years away from having any general agreements between network operators and the sharing of the SIM with application providers such as financial institutions. So all this was really quite consistent, the move to NFC is now really under way but it will be several years yet before we see any mass applications. Samsung is hedging its bets as to whether you need a separate secure element in the phone (to the SIM card). The Nexus S has the NXP PN65K NFC chip which includes the SmartMx as a secure element while the latest Galaxy S II has the PN544 SWP chip without the secure element. If I were a betting girl my money would be on the separate secure element not the SIM card, this will give more power to the phone manufacturers, but this will also take time because it is currently devoid of standards. Smart Card News is an independent International subscription newsletter launched in 1992. The newsletter is considered, by the industry, to be the definitive source for information on all aspects of the Smart Card industry. The highly successful daily on-line news service was launched in 1999 and is free to subscribers to the newsletter. Smart Card News covers all the latest industry news on the new technological advances, security, new products, product launches, contracts won and lost, personnel changes, with opinion pieces and technical tutorials from the industry's leading experts.